They are the cornerstone of the kitchen. For catering, hotel, à-la-carte and banquet cuisine, the large cooking space provides maximum performance combined with accurate cooking and baking results. The rock-solid workhorse takes off the load with technical innovations and self-explanatory touch controls. 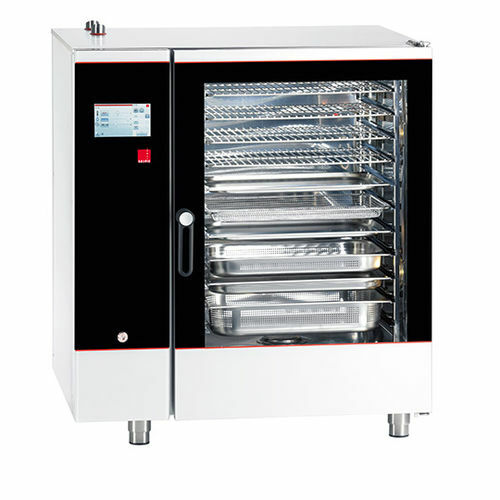 The unique flexibility provided by crosswise and lengthwise loading or baking dimension and GBN 2/1 provide a real feeling of reliability and delivers a great return from perfect utilisation of the hygienic cooking chambers.